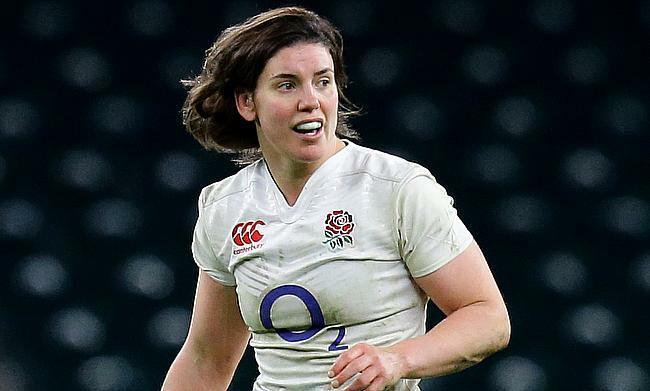 England Women have made five changes for the upcoming Women's Six Nations Championship encounter against France. Skipper Sarah Hunter, Rachael Burford, Amber Reed, Abigail Dow and Marlie Packer all have returned to the starting XV from the side that defeated Scotland 8-43 at Scotstoun Stadium in the previous round. "France are a dangerous side, they are physical and well organised in both attack and defence," said head coach Simon Middleton. "The squad have worked hard this week, prepared really well, and we are ready and excited to take on France, in what we know will be a really tough Test at the Stade des Alps on Saturday night." England are currently at the top of the Six Nations Women's Championship table after winning all their three games and will line-up against France, who are also unbeaten in the tournament so far. Replacements: Davies, Clark, Lucas, Burnfield, Noel-Smith, Mattinson, Tuima, Pearce.